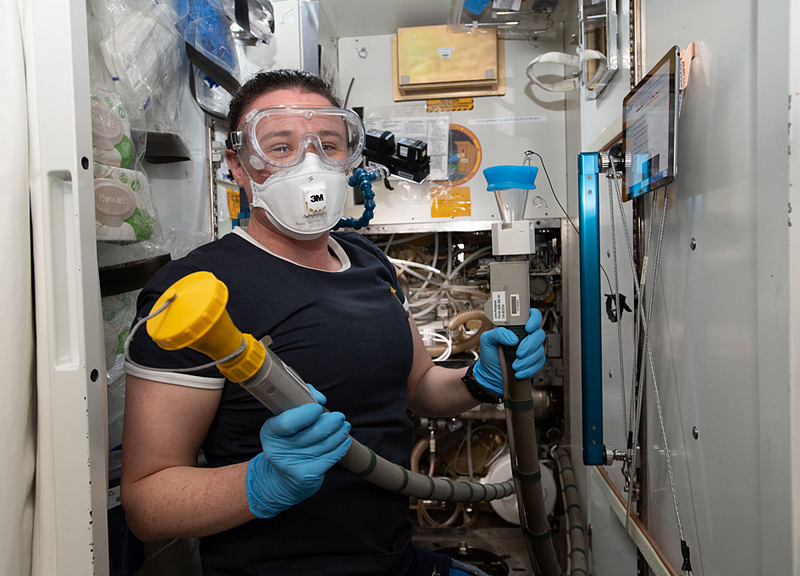 NASA astronaut Serena Auñón-Chancellor performs plumbing duties inside the International Space Station's toilet, also known as the Waste and Hygiene Compartment, located in the U.S. Tranquility module. 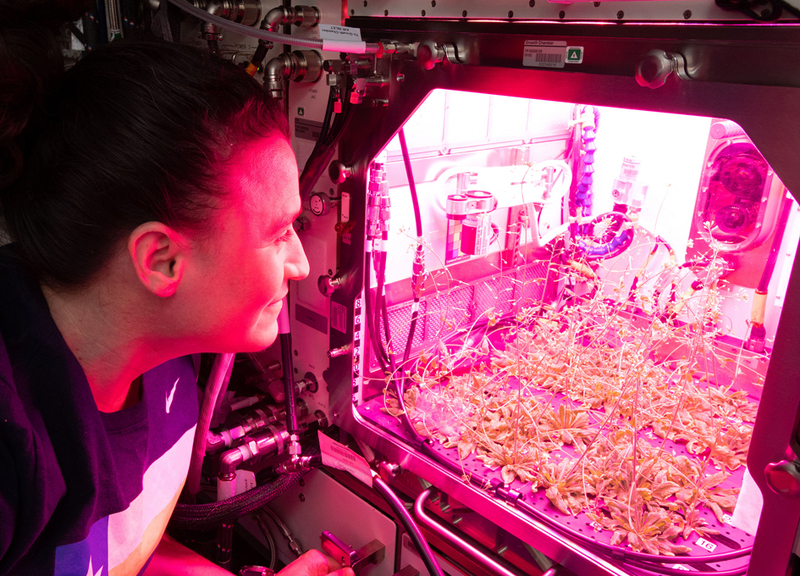 Flight Engineer Serena Auñón-Chancellor checks on plants being grown for botany research aboard the International Space Station. 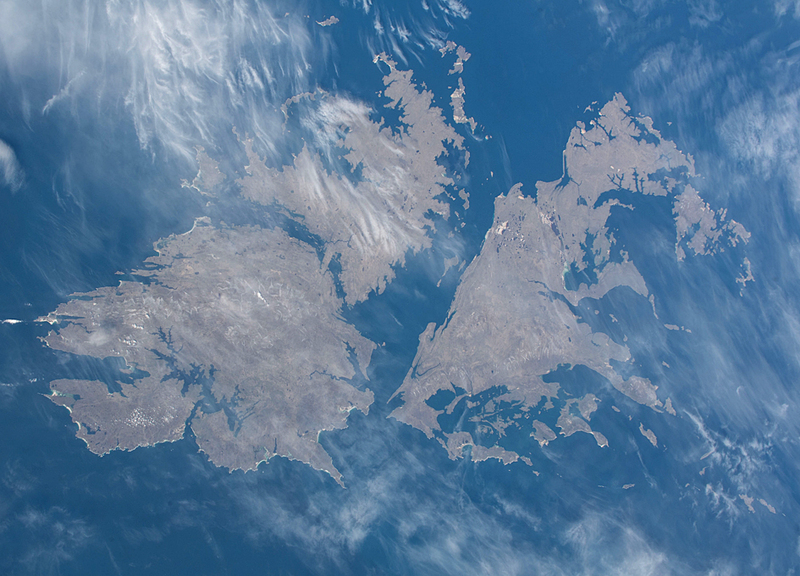 The International Space Station was flying 265 miles above the South Atlantic Ocean when an Expedition 57 crew member photographed the Falkland Islands (Islas Malvinas). 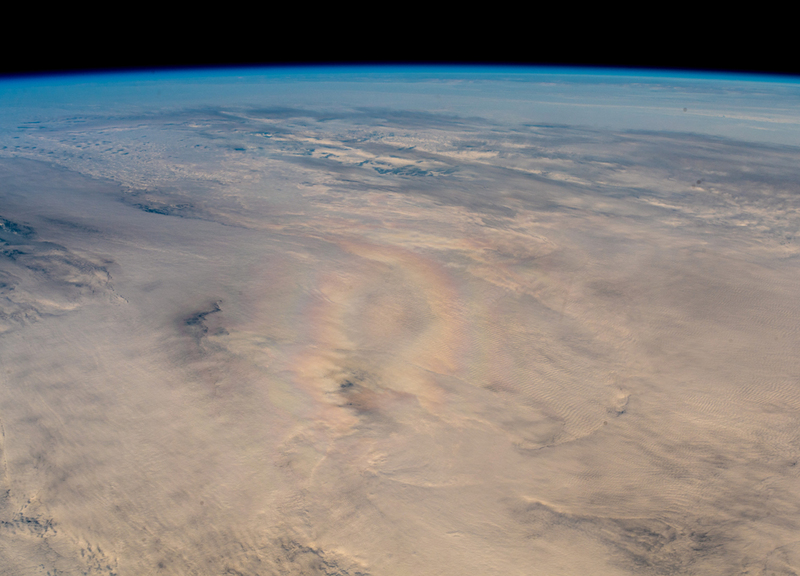 The International Space Station was flying 257 miles above Western Australia when an Expedition 57 crew member photographed storm clouds on the west coast of the continent. 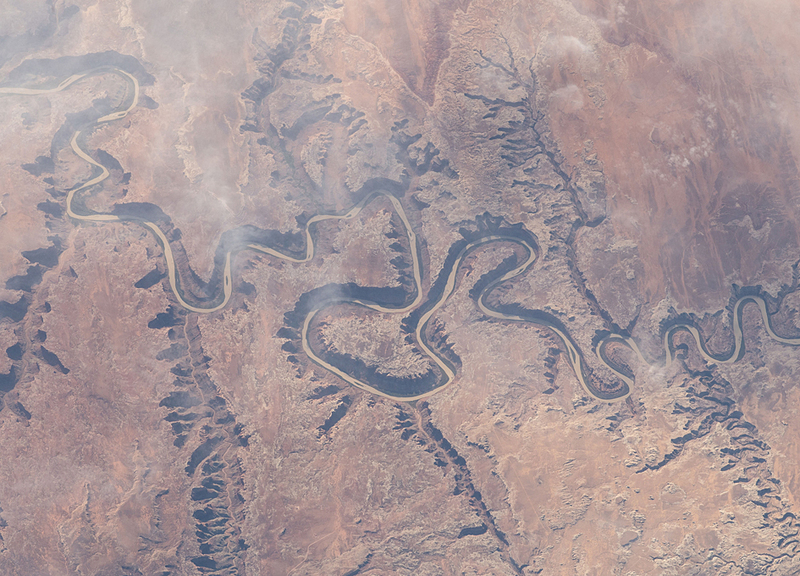 A portion of Green River and its tributary canyons in the state of Utah were pictured as the International Space Station orbited 255 miles above North America. 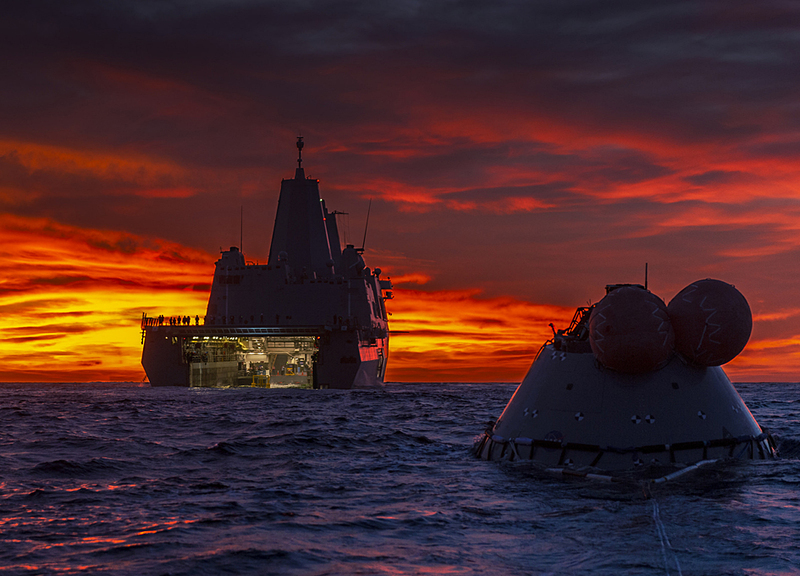 The USS John P. Murtha and a test version of the Orion capsule are in view at sunset on Nov. 1, 2018, during Underway Recovery Test-7 (URT-7) in the Pacific Ocean. 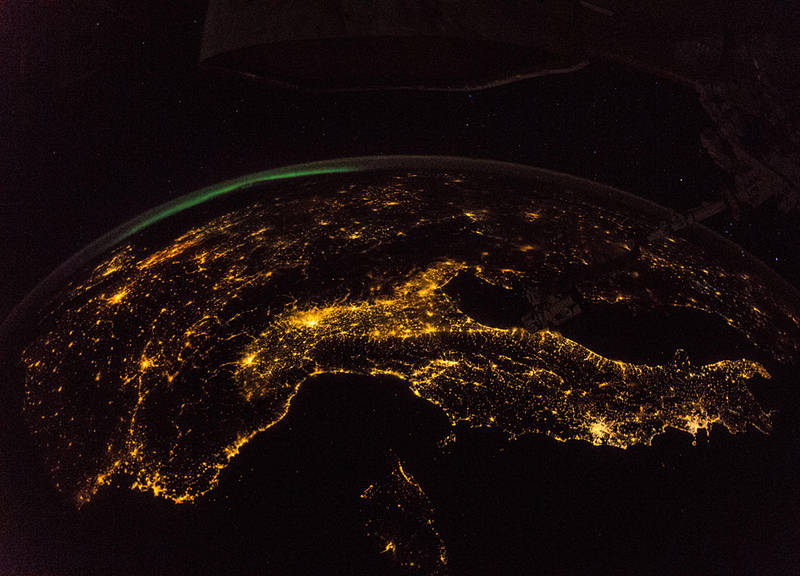 Imaging Earth from space is a favourite pastime for astronauts on the International space Station. 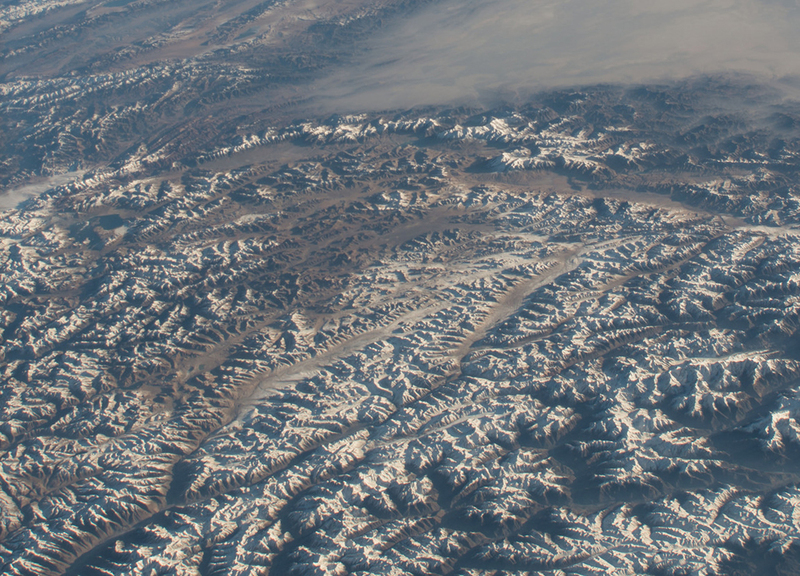 The International Space Station was orbiting 253 miles above northern Pakistan when this photograph was taken of a portion of the Himalayan mountain range. 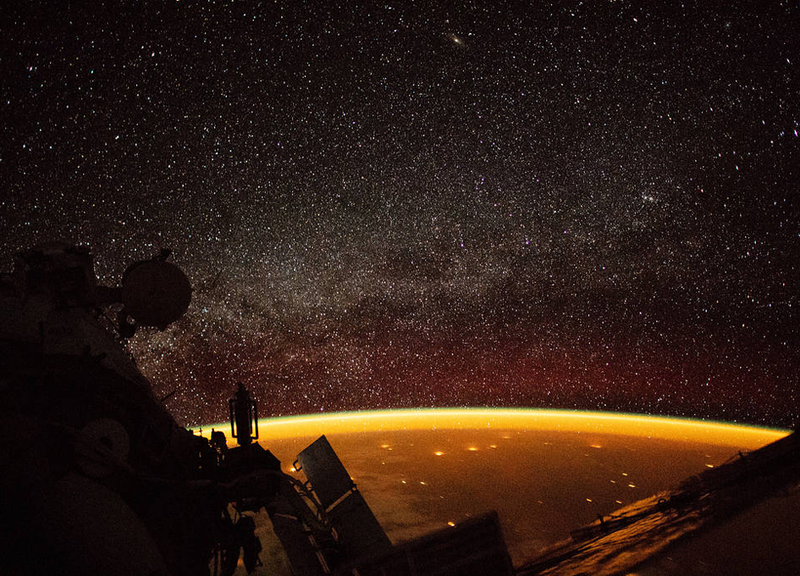 Despite humankind's scientific prowess there are still many phenomena that defy explanation or a common agreement on why something happens. 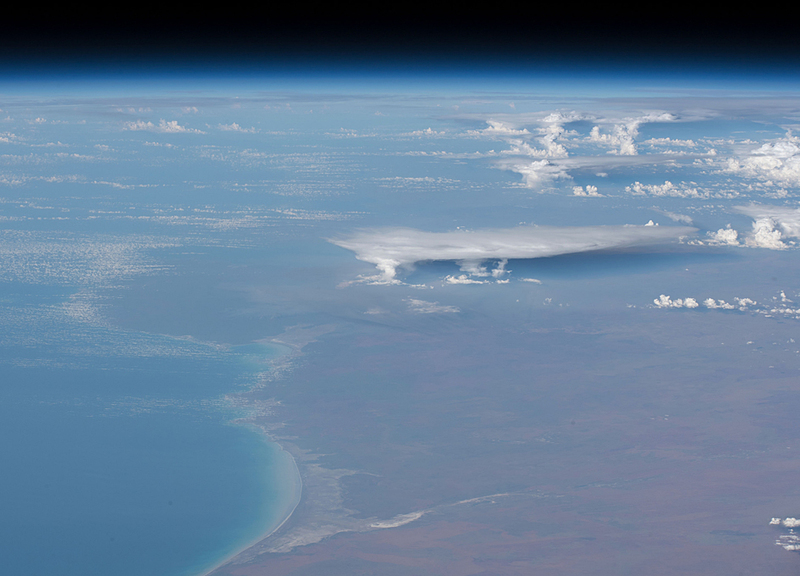 On October 7, 2018, an astronaut aboard the International Space Station (ISS) shot this photograph while orbiting at an altitude of more than 250 miles over Australia. 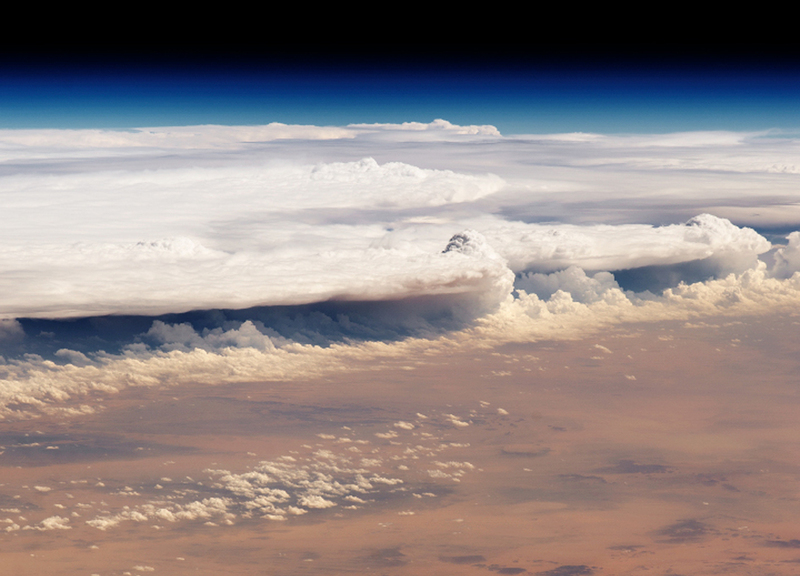 A line of thunderclouds was marching past the Al Qassim region of central Saudi Arabia when an astronaut on the International Space Station shot this oblique photograph.